Practice includes: (1) financial reorganization, commercial transactions and complex litigation; (2) neutral representation as trustee, examiner and special master; and (3) alternative dispute resolution, including arbitration and mediation. 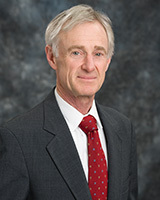 Experience includes 18 years as a United States Bankruptcy Judge and 10 years in judicial administration and dispute resolution. United States Bankruptcy Judge for the Northern District of Texas, 1987-2005, cases included: First RepublicBank Corp.; Zale Jewelry Corp.; National Gypsum Company, Inc.; Asbestos Claims Management Corp.; Southmark Corp.; General Wireless, Inc.; Jayhawk Acceptance Corp.; LJM2 Co-Investment, L.P.; Vartec Telecom, Inc.; Excel Communications, Inc.; Avado Brands, Inc. (Don Pablos Restaurants); Neostar, Inc. (Babbages). Mediation cases (appointed as mediator by order of the United States Court of Appeals for the Fifth Circuit): Mcorp, Inc.; Cajun Electric Power Cooperative, Inc. Honorable John C. Ford American Inns of Court. Judicial Resources Committee of the Judicial Conference of the United States, 1991-1997. Court Compensation Study Committee of the Judicial Resources Committee, 2005. Wisconsin Judicial Council, Reporter, Appellate Rules Committee. With Judges and Clerk of Court, drafted and implemented initial internal operating procedures, Wisconsin Court of Appeals, 1978. Shareholder, Stutzman, Bromberg, Esserman & Plifka, 2005-present. United States Bankruptcy Judge for the Northern District of Texas, 1987-2005; Chief Judge, 2002-2005. Director, Staff Attorneys Office, United States Court of Appeals for the Fifth Circuit, New Orleans, LA., 1984-1987. Chief Staff Attorney, Court of Appeals of Wisconsin, Madison, WI., 1978-1984. Commissioner, Supreme Court of Wisconsin, Madison, WI., 1977-1978. Private practice of law, Madison, WI., 1974-1978.